This Section contains ANSWERS from some of the most Common asked questions from within this domain. ANY Subject, as long as it’s common. Feel free to Submit Questions you have, at the Bottom of this Page (in “Comment Form”). Make sure we haven’t already Answered them in any of our BLOG Posts. Q: CAN I PAY BY PHONE? I don't Trust the Internet. • We understand completely. Which is why we leave it to the 2 Most Trusted and Secure Merchants and Payment Processors in the Industry to Handle ALL Sensitive Data for us (Amazon Payments™ & Paypal™ for all Credit/Debit Cards- NO Paypal account is required). • Therefore, unfortunately, we don’t take Orders over the phone because we don’t handle any of our Client’s Financial Data ourselves. This is for your own Protection. • If paying via Credit/Debit card, simply select Paypal as your payment method. You DO NOT need a Paypal Account to pay via CC Card. Paypal merely acts as the Payment Processor ONLY. Q: Isn't it Illegal to Grow some Types of Poppies?? Each Region Varies, but in the USA, it’s PERFECTLY LEGAL TO GROW P. SOMNIFERUM POPPIES FOR THEIR SEEDS, AESTHETICS, AND/OR CULINARY PURPOSES. It IS, however, ILLEGAL to Grow them for the “Special Properties” they Contain (underneath it all). 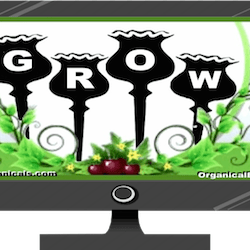 But, as long as you keep it’s “Juices” CONTAINED Within it’s Membrane Walls, you’re Good to Grow! It’s what’s on the INSIDE that COUNTS!! Q: I Checked out as a 'GUEST' - What's my Order's Status? You should have received an ‘Automated’ Order Confirmation email from us after Checking out, this has your 5-digit Order Number in it that you would use HERE to View Limited Order Status. This would have been sent to the email you entered on the Checkout Page. Be sure to check your JUNK/SPAM Folders (depending on your inbox settings), since it was ‘Automated’. Additionally, when we Print your Shipping Labels at our Label Server (ShippingEasy.com), you’ll receive another ‘AUTOMATED’ email containing your TRACKING info which will be emailed to you FROM THEM!! Not us!! So PLEASE make sure to look for it if you wish to receive Tracking. OR, to make life much more simple, you can just Create an Account during (or prior to) Checkout. Q: Why should I 'Create an Account'? You can Create an Account during (or prior to) Checkout, and ALL-OF-THE-ABOVE Functions from the Question Above, will be available to you, right in your Account Dashboard. Including Tracking, Order History, PM’s To & From Us, etc. Q: Who is 'Garbage Juice Publishing'? 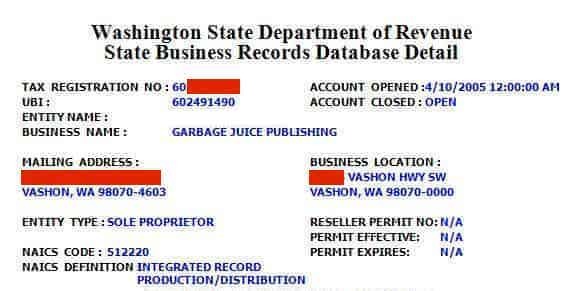 The reason why the Name ‘Garbage Juice Publishing‘ shows up in the Footer of some of our Messages, Pages, and/or Invoices is because that is the name of our Licensed Business. Back in 2005, I was receiving Royalty Checks from ASCAP (from Music I produced in the 90’s that got picked-up by MTV, VH1, Fox Sports, and many more). Soon, my music was playing in TV Shows from Networks all over the world. ASCAP Pays out 50/50 Checks to Writers & Publishers alike- and it was required for all Artists to have a Publisher, So I became my own Publisher, not thinking much of it at the time, so I jokingly named it on a whim, not knowing I’d ever make a dime. I guess I got lucky, since I “got in” Directly through the Music Placement Dept. at Viacom™ (aka: MTV). Long Story short, I was receiving TWO Royalty Checks per Quarter for Identical Amounts (50/50). One written out to my Name (Writer’s half), and the other written out to: “Garbage Juice Publishing“. But Banks wouldn’t let me Deposit them without a DBA in that same Name. Which explains why our “Business Paypal Account” Name is Garbage Juice Publishing, not Organical Botanicals. Because Paypal™ only allows you to have ONE Name for your “Business Account”, and it must match your DBA name for Tax Purposes. YES, I do still receive Royalty Checks in that name, in case you were wondering why I just don’t change my Business name. Q: Are there really WHITE Somniferum Poppy Seeds? YES! It’s TRUE! Although rarely seen on Bagels or on Spice Racks, white Poppy Seeds are Somniferum, Viable, and their Plants contain the SAME Alkaloids as all the others. Some people think they are just immature Seed, since ALL Poppy Seeds are White when unripe inside the Pods before turning blue, brown, grey or, if the Parent Flower had PURE WHITE Flower Petals (no blotches), the Seed will stay White too. They have a slightly sweeter taste to them, due to their higher oil Content. Q: Why hasn't there been any Movement on my Tracking #? PLEASE UNDERSTAND THAT THE MOMENT YOU PLACE AN ORDER, THERE’S USUALLY A MINIMUM OF 20 TO 50 ORDERS IN THE QUEUE, ALREADY PAID FOR, AT ALL TIMES. WE PRINT & PAY FOR our SHIPPING LABELS in WEEKLY “BATCHES”. Meanwhile, all Tracking Numbers from those Labels are Immediately Emailed to all Customers simultaneously! They allow the User to ‘Checkout as GUEST’, (which simply means we don’t have User’s email on file. Therefore, our Automated Order Status Update emails are CANNOT be SENT!! B.) 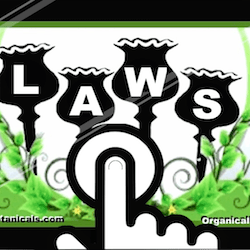 ALL CUSTOMERS: Check your email’s SPAM FOLDER: When you place an Order, you should Receive our Order Confirmation email Instantly from: admin@organicalbotanicals.com. If no email found, try to Sign-In/Up using the same email you entered at Checkout. Don’t know your password? Just click ‘FORGOT PASSWORD‘, to have a new one emailed to you. SO, DON’T STRESS! You can still edit any Connected Social Networks, or Email / Shipping Address– even AFTER Order placement, up until Order Completion. Additionally, we ship from a remote Island, called VASHON ISLAND, Wa – where there are NO Sorting Facilities or Bridges to the Mainland. Therefore, it’s perfectly normal for there to be a delay from the point in which you receive the Tracking Notification email, to the point in which you see any Tracking Updates (since they usually don’t update until they EXIT the Sorting Facility on the Mainland, and are Scanned out). Q: How do I pay with just a CREDIT/DEBIT Card? I don't have Paypal or Amazon. GO HERE for Instructions on how to Pay via CC Card ONLY- Simply select PAYPAL to checkout, but they will act as the PAYMENT PROCESSOR ONLY! !- you will NOT need a Paypal Account!! Q: I've heard about a Poisonous Poppy called the "Norman Strain", what is it? THE FIRST MIS-CONCEPTION: People read about “Thebaine” on Wiki or wherever, and they see that it’s labeled as the “MOST POISONOUS OPIATE ALKALOID” (since it’s the strongest), but what they’re not understanding, is that Morphine & Codeine are ALSO “Poisons” (as are ALL drugs). If you didn’t know that, please go do some research. One reason why the same isn’t said about Morphine (or other Drugs), is because once it’s Defined as a “Stand-Alone Substance”, such as Morphine or Codeine, rather than a Compound or additive, it then can be Marketed as a “Medicine”, thence allowing for the removal of any “MR. YUCK” Stickers from it’s “Poison” Label. But Thebaine still remains to be a ‘Partial”, in the synthetic process. So, I can only imagine this is where people get these crazy, un-educated, web-Rumors. If there REALLY was a “Poisonous NORMAN Strain”, WHY DON’T YOU HEAR ABOUT PEOPLE GETTING SICK, OR DYING FROM THEBAINE Poppy Tea?? Huh? Anyone? Bueller? Sure, Thebaine is 10x stronger than Morphine (by weight), but there’s only between 0.2% and 1.5% percent of it in raw opium (compared to the 20% to 40% of Morphine’s Content). Thebaine still binds to Opiate receptors, but unlike Morphine & Codeine, it’s a Stimulant. So as a WORST CASE SCENARIO, your Poppy Tea might feel more like Poppy Coffee. Otherwise, it’s nothing we should even be talking about. WHY? It’s Seed is impossible to obtain. THE 2ND MISCONCEPTION: I have PERSONALLY dealt with Tasmanian Alkaloids many times (I used to be part of their Grower’s Co-op back when they still had that program – which is why I’ve continued to breed their Seeds). And although this “High Thebaine Producer DOES exist, they have NEVER released a single SEEED to the Public (which they announced on their Website a few years back). and if you think about it, it kinda makes sense. WHY would a Company spend several years & Millions of Dollars modifying, and applying Patent after Patent on something, only to release it to the Public? Moreover, their Competition. Such as ‘GlaxoSmithKline‘, (J&J), etc. MY EDUCATED GUESS BASED on the FACTS above?? I always like to quote a favorite Judge of mine, Judge Judy, who says: “Most often, the Truth, makes sense. If it doesn’t make sense, it’s probably not the Truth“. ALL Answers below written by US!! How to treat gray powdery mold on poppy leaves? I purchased some afghan izmir seeds from OB. I’m located in (zone 7 I believe, South Carolina) planted in Oct’ 16, finally saw some action on Dec and now inApril’ 17 gang busters! These things are growing (still cabbage) but at a height of 2’+. NOW unfortunately I’m starting to see small gray mold on the leaves. Can I cut this away? Can I treat? Thanks for input. Hate to come this far and lose them now. Did you take any Pics? I’ve never lost a Plant to mold or diseases until just now actually. So I’d be curious to know what it is. There are several products u can buy at your Local Nursery or hardware store that combat Powdery Mildew. If you took pics, upload to any public Image Share site (imgur, giphy, photobucket, flickr) and paste Image URL in your Comment. Assuming buds have been bagged before opening, how long should pods remain bagged after the pedals have dropped in order to ensure no cross pollination? Must the bags stay on until the pods turn brown or can they be removed soon (days, weeks?) after the pedals have dropped without worry of a hybrid seed? Only while the Petals are on, are they at risk of cross-pollination. As soon as the Petals fall, they should already be self Pollinated. I use a ‘Timed-Staggering’ Planting Method where each Variety of Poppy is Planted a couple weeks apart from the next. That way, once they flower, only one type of Poppy is “Flowering” at a time. Awesome, thanks! Great tip on staggering the planting. You want them to be entering their cabbage stage once the rains return and the grass stops growing. So, make sure you add your nutrients to your soil before you put them in the ground. I seem to get better results whenever I plant them outside (even if in Peat Pellets). 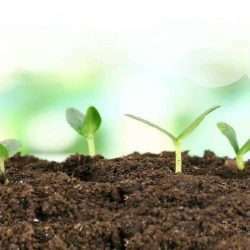 Just be sure to get them into deeper soil within days of them sprouting in the Peat pellet (which only serve as a medium to germinate & separate the ones that sprout). Because if they feel their tap root blocked in any way, they’re done. If it’s too hot now. Then wait until Early Fall and try planting as the weather cools. They will continue growing into a cabbage even after the grass stops growing. If your Winters involve Snow, they’ll die if snow sits on them. Or if u get one of those cold streaks, where it’s sunny, yet 20 degrees, then be sure to protect them. . There are several ways. You just need to cover them with a plastic container, or material, and water them with hot water. Also, fill some plastic bottles up w/ hot water or oil, and lay them down around the base. Or anything to keep their Cells from freezing solid. Main priority is to keep it’s soil temp up. Otherwise, if u have a mild winter such as ones that dont dump a bunch of snow, the only thing to lookout for is those cold streaks. Try staggering your planting by planting a few each week in the Fall to find out what time is best in your area. I’m waiting now for some PERSIAN BLUE poppy seeds to arrive & they’re labeled as SUB-FREEZE plants, just what exactly does this imply? All of my Wiz of OZ reds & Danish Flag are doing great & I was going to wait until winter to grow the “BLUES”, but, is it necessary to wait? Depends what the Temps are where u live. But u might get them to sprout, but they won’t get very far this late into the Season. I planted some seeds of unknown variety that I purchased from the spice isle at the grocery store. I’m by no means a professional at this but I was successful in growing them through flowering. Based on the appearance of the flowers and shape of the pods I am suspecting they are Tasmanian alks. My question is why the resulting seeds are of a different color than the ones planted? Original seeds were a bluish color while the harvested seeds are more white/light brown. These were grown indoors and I’m certain there could not have been any cross pollination. Is it possible my flowers didn’t successfully polinate? Yes, those are Common “Commercial Poppies” grown for Seed by the Spice Industry. (all their flowers will always be white, with a Violet Blotch near Center). Nice Flowers. Terrible Genetics and Chemical makeup) These are the ones that “Fake Growers“ buy in Bulk, then sell on eBay (many of which use stolen Images off Google, and claim to have grown them). Creating attractive Titles like “Tasmanian Purple” (which isn’t even correct Terminology for the somniferum Poppy. • But regarding your concern about the Light Colored Seeds, my “Guess” is that you Harvested them way too early. SEEDS aren’t mature until the ENTIRE Plant turns brown after remaining in the Ground for about a month or so after they Bloom, and the Pods Rattle with Loose Seeds (seen at End of Video in Part #5). If harvested earlier, they will be lighter in Color. Thant’s because ALL Seeds are WHITE when Born inside the Pod walls. Regardless of what color they are when mature. So if you were to cut a pod in half (while still green), you would find hundreds of tiny white, immature seeds. These would NOT be Viable. They get darker as the Pod Matures, releasing them from their inner walls. Hope this answered your Question. Let me know if not. Thank you for the detailed reply, this helps a lot. I am finding that there are more than a couple websites out there that are putting out bad info on growing these flowers. I apparently followed some bad advice on when to harvest. I need to hop on a computer and read through your site a bit more, it seems to have a lot of good info I’ve just had trouble navigating it on my smartphone. The store bought seeds were good practice and did actually produce pretty flowers. I have a couple Izmir Afghans coming up now from seeds I ordered from you. They are still small but looking good so far. I’m very excited to see how they turn out. Hey David. Yes, we’re still working on implementing the Mobile Version of our Site. But if you’re on a Mobile Device, you’ll see a Button at the TOP of the Main Shop that says “Mobile Menu”. But basically, if you’re using a Mobile Device, you can Access the FULL Navigation ‘Slide-Out’ Menu by clicking on the Mobile Menu Icon (see on the Upper Right of EVERY Page). You can also add “/amp“ to the end of any URL to force it to Serve up the Mobile Version of certain Pages/Posts. I have succesfully gotten my seeds to sprout in zone 9b. I had to use a combination of tips from your website, so thank you for this wonderful resource. I froze/thaw the seeds DAMP but not drenched soil, in refrigerator, approximately 2 weeks (take out and re-freeze every other day); later moving to refrigerator for appx 1 month. The key was using the ‘ice method’ you recommend for germination. About a week of your ice method, the seeds sprout wonderfully and reliably. Now, I am having some issues with seedlings shriveling up. I think, but not certain, this is because it’s too dry here. What kind of environment to you recommend (temp wise) for seedlings? How often should I water them – is 2-3x a day too much if its very dry here? Well, it seems as though you missed your Window to Plant (probably during the time you spent futzing around with the Refrigerator (something we NEVER suggest, (nor have we tried it). In my opinion, it’s just one of those things you hear in Forums & Blogs about poppies. Maybe it helps, but only because Poppies NEED “Cool-ness”, so perhaps it imitates snow on the ground.?¿? Nevertheless, you DID find success once you used our Ice Method. Which is great to hear! Many others have also told me it worked wonders for them. But like I’ve said a thousand times, in almost EVERY Tutorial we have, Seeds AND Seedlings Require Temps between 35°-70°f to make it to maturity (where they can withstand Temps up to 90°-95°f). It can be a bit complex to explain, but it has to do with their reproductive Genes sensing whether or not their current environment, is cool enough for them to make it to Maturity (reproduction age) without over-heating. Any indicator that tells them otherwise, will cause them to do exactly what you are describing. It’s just programmed in their Genetics. There aren’t really any other reasons for them to do that. But there ARE things you can do, to “keep them fooled” long enough until they can make it on their own. Keep in mind, that just because they prefer “FULL SUN”, doesn’t mean they need a “FULL DAY” of Sun. EXAMPLE: You can expose them to the MORNING SUN ONLY (by either planting them on either side of an object like a House, or by moving them out of afternoon sun, if in Pots). Gotcha. Thank you for your respsone and this great website.